The school year is off to a fast start. It is hard to believe Thanksgiving break is already here. With a fun school year also comes fun times after school at Buford and Walker with Abundant Life’s tutoring programs! 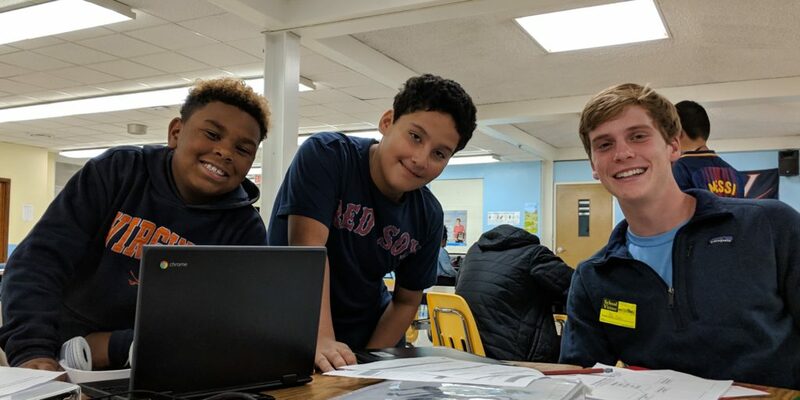 On Mondays, 7th and 8th graders from our Prospect neighborhood spend time with UVA students, working on homework and enhancing their reading and math skills. 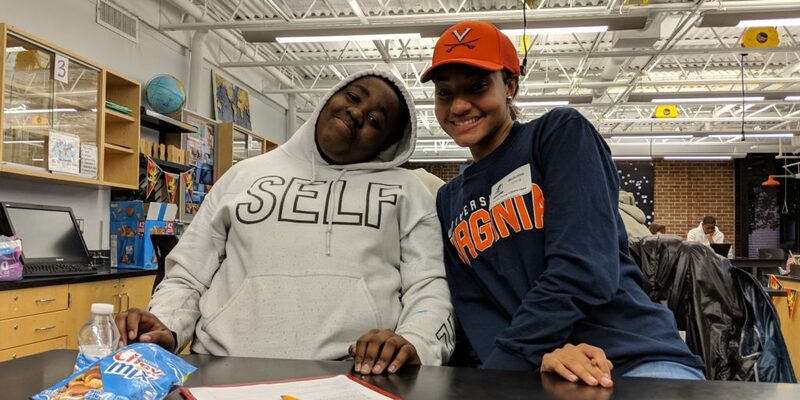 On Tuesdays and Wednesdays, our 5th and 6th grade students get the same opportunity with more great volunteers from UVA. 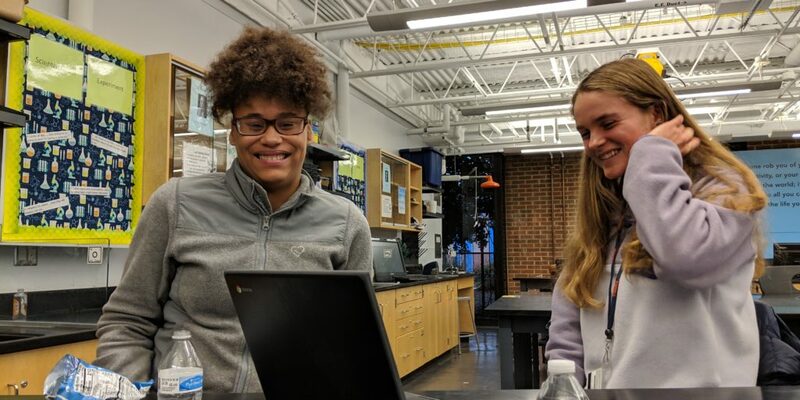 Not only do our amazing tutors give of their time and energy to work with our students, but they have committed to them for the entire school year, allowing for friendships to develop. 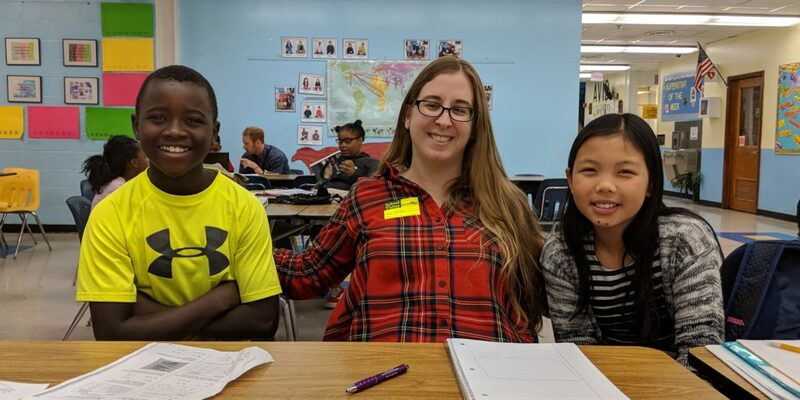 Moreover, the supply of tutors allows for one-on-one or small group tutoring, creating space for these relationships to blossom. Keeping the same tutor with the same student from week to week throughout the school year creates trust and a bond. The tutor knows the strengths and weaknesses of their student, and the student learns to trust that their tutor is really there to help them. It has been heartwarming to watch the transformations that have already started since the first week, and it will be exciting to see these relationships continue to grow. At the beginning of the year, you could see the hesitation in the students towards their tutors. These were people that they had never met and they were being promised that these strangers would help them. You may remember being unsure of a new person coming into your life and the time it took to trust them. 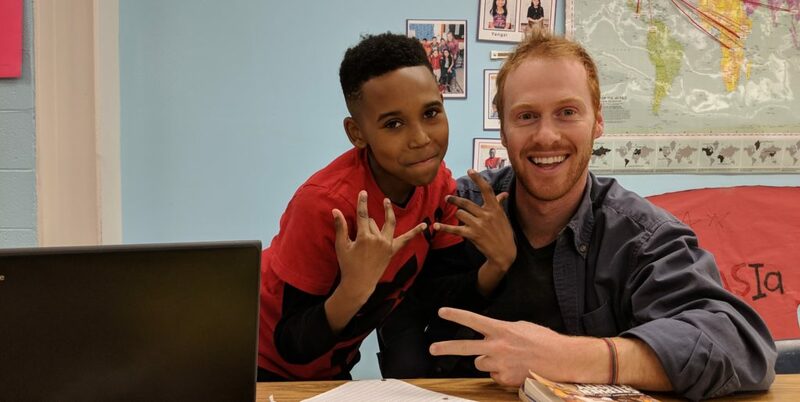 Zayden, one of our 5th grade students, was very uncertain about his tutor John. He was guarded, and I think John picked up on it. Undeterred, John put a smile on his face and remained patient with Zayden. Week by week you could see Zayden starting to loosen up towards John. Now, two months later, Zayden and John might be our closest pair! Zayden is smiling and laughing with John, and at the same time, he is getting his work done. To see Zayden having fun while learning, and now excited to see John every week is exactly what Abundant Life strives for. One goal of our tutoring is to help our students academically by growing their self-confidence. All of our students are smart and loving children, and we want to make sure they know that and believe in themselves. 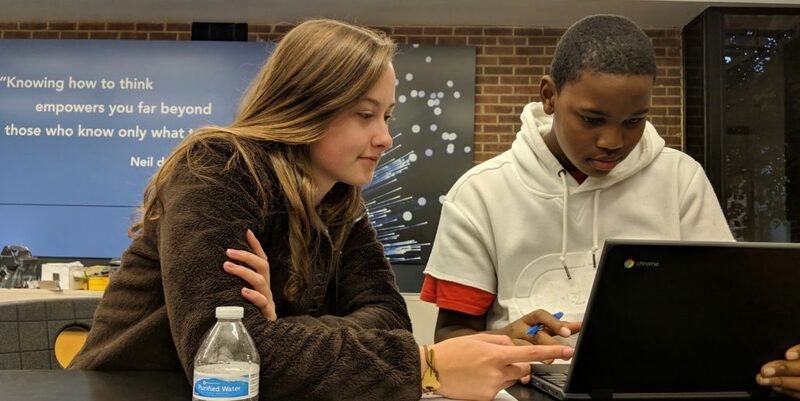 These relationships with their tutors can help them see how special they are, and the success they can achieve when they have the confidence to push themselves!